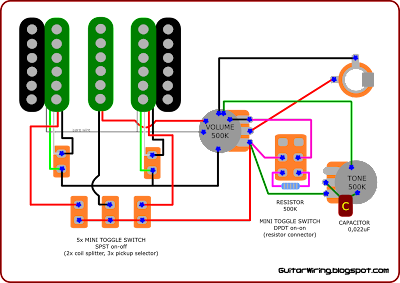 Today I would like to present my wiring project for guitars with HSH pickup set – like Ibanez RG or Jem. It can give you a few more options than a standard guitar wiring. You will get more pickup configurations and a special possibility to make your guitar tone warmer or smoother. There are two mini SPST toggle switches for coil splitting - one for every humbucker. With this function you can turn your double-coil pickup into the single-coil - by connecting one of coils to the ground, by its both wires, so the second coil will be working alone. There are also three similar switches for turning on and off every pickup. With this system any pickup configuration is possible. As you can see, all functions of the pickup control have their own two-positions switches. 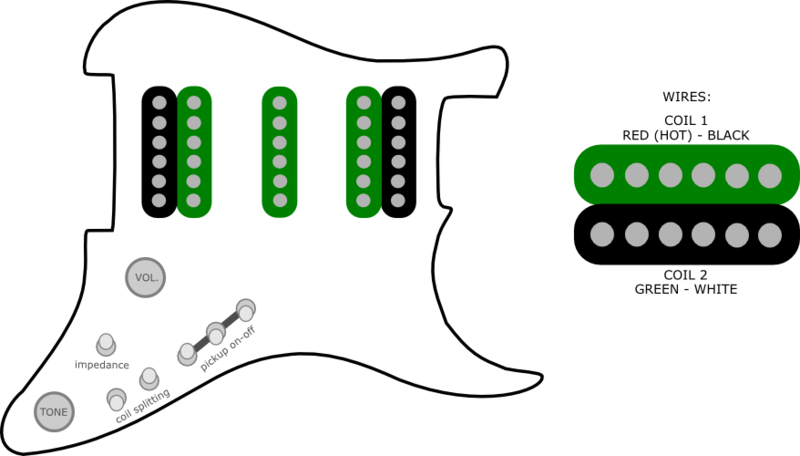 Maybe some of you like to have this kind of things in one selector, but for many others my design can be very useful, especially if you like to pairing pickups in many different ways. 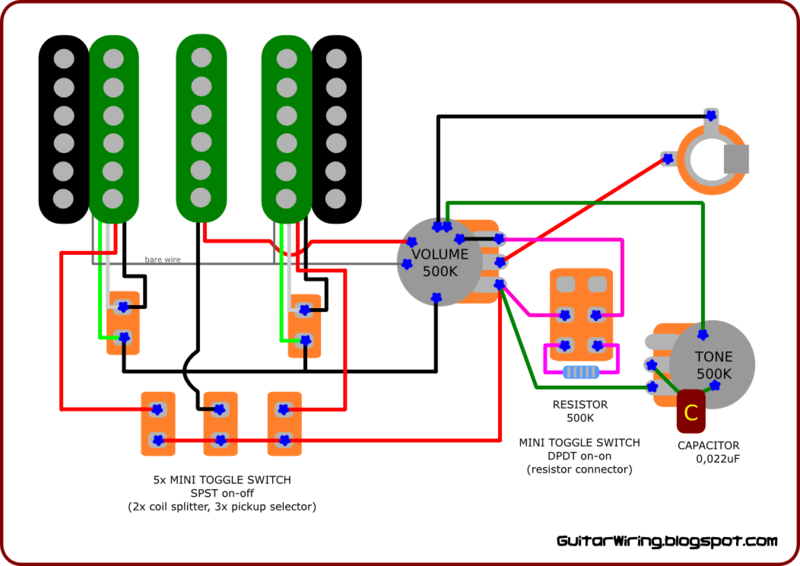 The volume and tone control circuit is quite typical - like in most of guitar wirings for HSH set. The switch between potentiometers is a DPDT mini toggle type. You can use it to connect the 500K resistor to the first and the last lug of the volume pot. After this move, the pot will be working like with 250K ohms (not 500K), so your guitar tone will be warmer. I called it „the impedance switch”. It's a very important function for me, because it gives the possibility to make a nice, smooth tone.